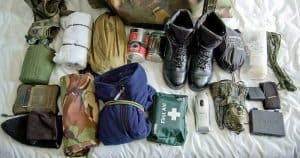 When talking about disaster preparedness, we talk a lot about the “Go Bag” (aka Bug Out Bag) which needs to be packed and ready in case you need to evacuate your home. However, equally as important is the Get Home Bag. 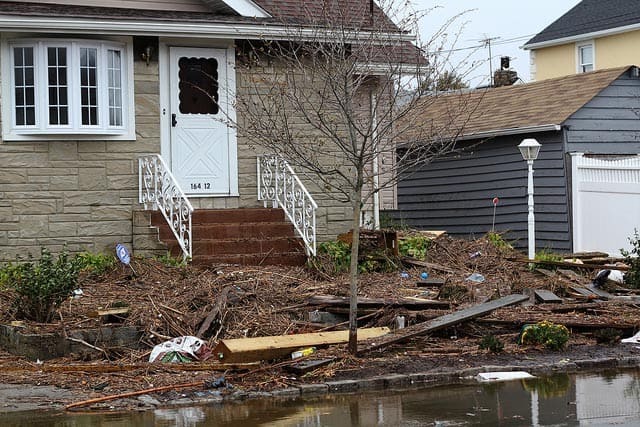 In many common disaster scenarios, it doesn’t make sense to evacuate your home. 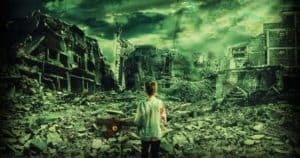 It may be a lot safer to stay on your home turf, or there may not have been adequate warning of the disaster so it is too dangerous to leave. Even if you do plan on evacuating, your disaster plan might include regrouping with family members at home first. In short, you need to make sure you can get home during a disaster! 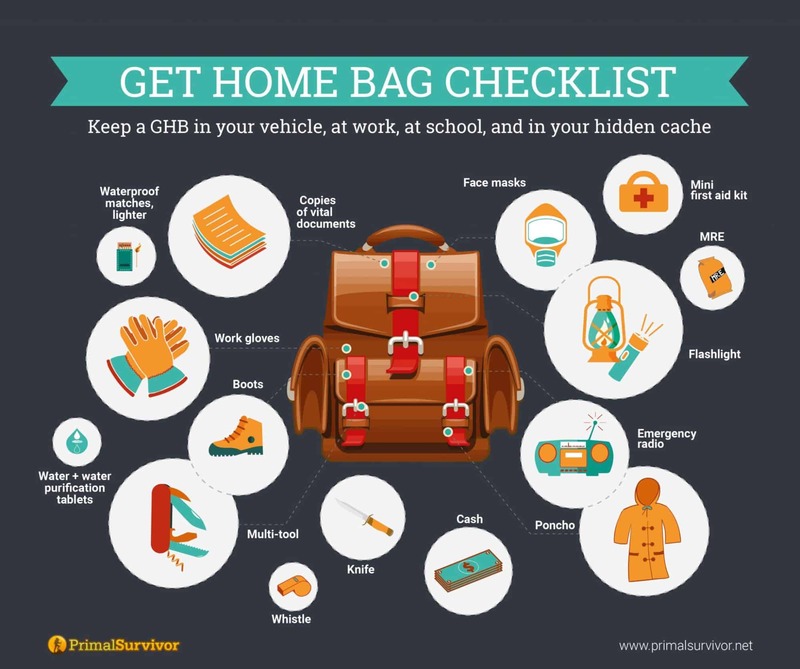 A Get Home Bag (GHB) is meant to help you make your way home during or in the aftermath of a disaster. Essentially, it is the “Hunker Down” version of a Bug Out Bag. 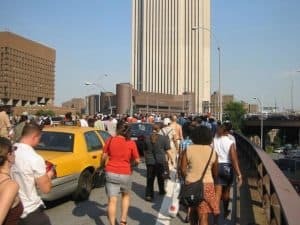 All of the contents are chosen to help you get home safely during a disaster – such as when roads are blocked and public transportation isn’t working, rioting has begun, rubble and debris is in the streets, and so forth. A Get Home Bag is meant to get you home. 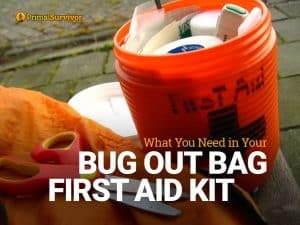 By contrast, a Bug Out Bag is meant to help you survive for about 72 hours in an evacuation scenario. GHBs and BOBs contents have a lot of crossover. However, don’t think that they are the same. A Bug Out Bag is going to be a lot bigger and heavier than your Get Home Bag. If you were to try to use your BOB immediately after a disaster, it could really slow you down! Your Get Home Bag should also look like a standard backpack, messenger bag, or similar. You don’t want any backpacker-style packs or camo bags as these would draw attention to yourself. 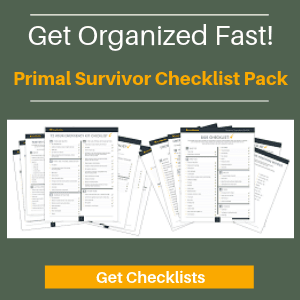 *If you haven’t packed it yet, here is a Complete 3-Day Bug Out Bag Checklist. 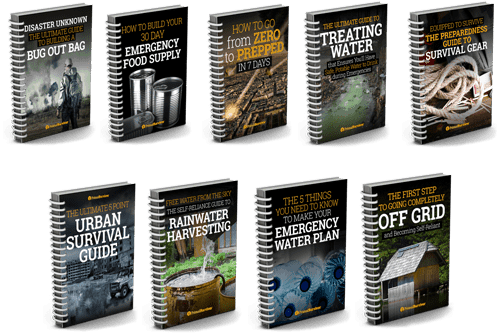 Or see real-life examples of Bug Out Bags here. How Hard Is It to Get Home in an Emergency? Before we talk about what to pack, let’s go over some of the scenarios which might make it hard to get home. These scenarios can help you better plan what to pack in your get home bag. Your first priority should be to seek shelter. 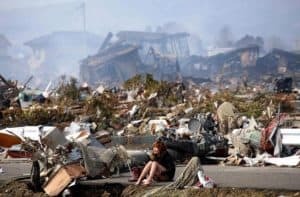 Only after the disaster is over should you try to get home. Once the immediate threat is over, you face the challenge of getting home. 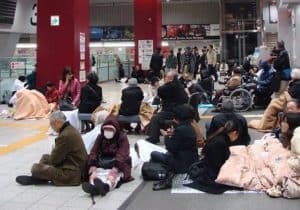 Take what happened after the 2011 earthquake and tsunami in Japan. Over 5 million commuters were stranded without a way home. You’ll need to have sturdy shoes to walk over rubble. A face mask can help you avoid breathing in fumes from fires and toxic debris. A map is crucial – especially when your normal route is inaccessible or unidentifiable. Terror attacks are most likely to occur in big cities, and subway stations are a frequent target. In response to an attack or threat, officials will shut down entire subway lines – as was the case after the London Bridge attacks. This isn’t a complete SHTF situation. However, having enough cash on hand to pay for a taxi home is essential. *Note that sometimes terrible events bring people together. After the terrorist attack in Paris, the city’s residents responded by offering free taxis and open doors for people stranded. Our society is scarily unprepared for any type of grid outage. Luckily, we haven’t had a large-scale outage yet (such as could happen during an EMP attack – learn about EMP protection). However, even the small outages are devastating. Without power, hundreds of people were trapped in subway cars and elevators. Traffic was gridlocked so people were stuck in their cars or abandoned the cars and started walking home. A Get Home Bag would have spared a lot of misery in this disaster. Food and water could relieve some of the stress. And even a small keychain flashlight could have made walking home safer. We hope you will find our checklist helpful. But please remember that this checklist is only meant as a guideline to get you thinking. 1. Respirator mask: Disasters can mean toxic debris or chemicals get into the air. Respirator masks (N95 rating) are small yet very effective at filtering out airborne hazards. 2. Work gloves: When rubble and glass strewn everywhere, you’ll be happy to have gloves. Guide to the best survival gloves. 3. Boots: Ever try walking long distances in your work or school shoes? Boots are necessary for walking long distances, especially when there is debris on the ground. 4. 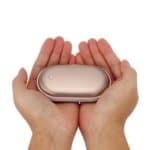 Mini first aid kit: This is something you should have as part of your Everyday Carry, and not just for disaster situations! 5. Multi-tool: In a SHTF situation where you have to get home, a multi-tool can help you cut through locked fences, pry open stuck doors, smash windows to get supplies (not that we condone looting), and much more. See these best survival multi-tools. 5. Water + water purification tablets: You can technically go 3 days without water. But even slight dehydration can impair your judgment, cause cramping, and make it impossible to continue. Have at least a liter of water in your GHB. The water purification tablets allow you to drink water you find along the way. 6. Knife: A knife is one of the most diverse, useful survival items to have. Whether it is for self-defense or cutting open canned food, you’ll be happy to have it. See our list of best survival knives for under $100. 8. Poncho: Even in warm weather, being wet can lead to hypothermia. In a pinch, a poncho can even be used to make an emergency shelter. 9. Waterproof matches, lighter: You should have at least two different ways of making a fire in your Get Home Bag. If your survival skills are more advanced, a ferro rod is a good choice as it offers endless fire-starting power. 10. Emergency Whistle: If you are trapped somewhere after a disaster (like stuck in an elevator during a blackout), a whistle can help signal for help. A whistle can also be good at deterring attackers. 11. Emergency radio: This will allow you to stay informed about the disaster including evacuations, road closures, and any other developments. 12. MRE: High-protein energy bars are great for your GHB. While you won’t die from starvation, having food means more energy for the physically and mentally-demanding task of getting home. 13. Cash: You’ll need this to pay for things like supplies or a ride home. 14. Copies of vital documents: In some disasters, officials will shut off roads and only allow residents to get through. You might also need your documents for things like getting into emergency shelters. 1. Sleeping bag: Absolutely keep a sleeping bag or bivvy in your car. In winter, add one to your GHB. This Tact Bivvy is a good all rounder. 2. Hand warmers: Good for winter GHBs. These electric hand warmers are awesome! 3. Small stove: I personally don’t keep a stove in my GHB. However, I do have one in my car in case I need to boil water (for purification or first aid). They can also provide heat, so might be worth carrying in your Get Home Bag. 4. Two-way radio: Don’t count on your cell phone working during an emergency. Some people recommend carrying a pre-paid phone card in their GHB. I would rather have a two-way radio for contacting loved ones. 5. Toilet paper: This one should be self-explanatory! 6. Personal defense: In addition to a firearm, you might consider pepper spray or a taser. 7. Sharpie and paper: Useful for making a sign so you can hitch a ride, ask for help, etc. Over 14 years ago, my wife got a Timbuk2 messenger bag as a gift. She was commuting to work by bike then, and used the bag literally everyday – including in rain and snow. She also took the bag on multiple trips. Despite going through all that abuse, the messenger bag is still in great condition. The colors have faded but the bag is still waterproof and strap hasn’t even frayed. In short, it is worth the cost of buying a Timbuk2 bag. They even come with lifetime warranty. The only downside is that I wish the bags had more organizational compartments. When it comes to get home bags, this is one of the most popular choices of survivalists. Made from 1050 denier nylon with a water-resistant coating, the backpack is incredibly durable. You’ve got one big compartment plus several smaller compartments. If you need more room, you can add gear with MOLLE attachments. At 37 liters, the Rush24 is a bit big for a Get Home Bag. However, the compression straps mean you can easily adjust the size. It also doesn’t stick out as much as other tactical backpacks. If you live in an area prone to flooding or hurricanes, then consider using a dry bag as your Get Home Bag. Unlike other backpacks which are never truly waterproof, this pack is actually 100% waterproof. You can even submerse it in water and the contents will stay dry. The 30 liter option is ideal for the job. I’ve recently started appreciating lumbar packs. They allow you to carry a decent amount of gear without loading down your shoulders (great for people with back problems). Because the gear is around your waist, it is easier to access. Of all the lumbar packs I’ve seen, this one by Mountainsmith is the best. It has lots of compartments, including two water bottle holders up to 32oz total. The padding makes it very comfortable, even when fully loaded. There are also smaller versions available, but I like the Day version as 13 liters seems ideal for a Get Home Bag. This backpack is far from perfect. However, considering the low price, it is as near to perfect as you can expect. There are ample pockets for organizing all of your gear. The material isn’t the best, but it will hold up against snags and tears until you get home. Note that the pack is water resistant but not close to waterproof. Make sure you’ve got a trash bag or cover for the pack in case it starts raining. Everyone has different needs with their get home bag. If your job is a 60 mile drive from home, for example, your contents are going to look a lot different than those of someone who works around the corner. Likewise, a GHB for someone who lives in the city will probably look different from someone who lives in a rural area! Do I live in an urban area? Do I work away from home? 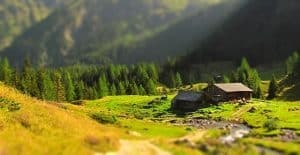 Do I have a spouse who works away from home? Do I have children who go to school? How far away are these work and school locations from home base? How would I get home if my car and public transport weren’t working? How long would it take me to walk home from work/school? Do I know how to navigate without a map or GPS? Do I know alternative routes for getting home? Do I have a vehicle and where will it be? For example, when my wife used to work in the city and would wear dress shoes to work, she made sure to have a pair of boots in her Get Home Bag which she kept at work. Another bag was kept in her car. If you never wear dress shoes, then you probably don’t need boots in your GHB. A Get Home Bag isn’t going to do you much good at home! Keep one at locations you go to frequently, such as work. If your kids go to school, have them keep one in their locker. Absolutely keep a get home bag in your vehicle’s trunk along with your car emergency supplies. While you are at it, start carrying around Everyday Carry survival items. EDC survival items are small enough to fit in your pocket, wallet or purse so you will have them even if you can’t get to your Get Home Bag. 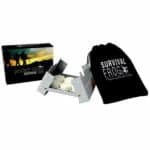 Take a look at this Altoids tin survival kit checklist! put in Neutral position, move stranded collisions moved by manual labor to road side edges, stretchers for immobilized folks, folks that can walk to push vans behind LEO , asking for Medical people(Dr. Nurse, etc.) to assist the immobile folks, Place to stay away from disaster zone for 72 hours. 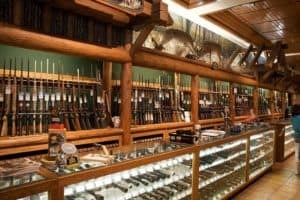 Interesting concept but I think the harsh reality would be somewhat different in a SHTF scenario. I guess this could be possible in a very tight knit community but I see it breaking down pretty fast otherwise. I’ve been through multiple hurricanes in South Florida and I think you’d be surprised at how people come together when SHTF. At least at first. Eevry one has this idea that when things go bad people become animals. It’s simply not the case for the most part. Yeah you have to watch your back more so because police, fire, and ambulances are busy. But MOST people are more than willing to help. In 2005 hurricane Wilma knocked down so many trees in our neighborhood, it took 12 hours to clear enough road to leave out little area. The hurricane hadn’t stopped but a few hours and you could hear the chainsaws going to work. People came together and got it done. We were without power for 9 days and in those 9 days, we had multiple pot lucks, made daily runs for the elderly folks in our area to where FEMA had set up handing out MRE’s and water. And this was in South Florida in the tricounty area. Similar experience with Irma last year. Really good to hear that Danny, nobody really knows what will happen in these scenarios but my gut says the cooperation would diminish with time and scarce resources. Would love to be proved wrong though and your experiences give us some hope!